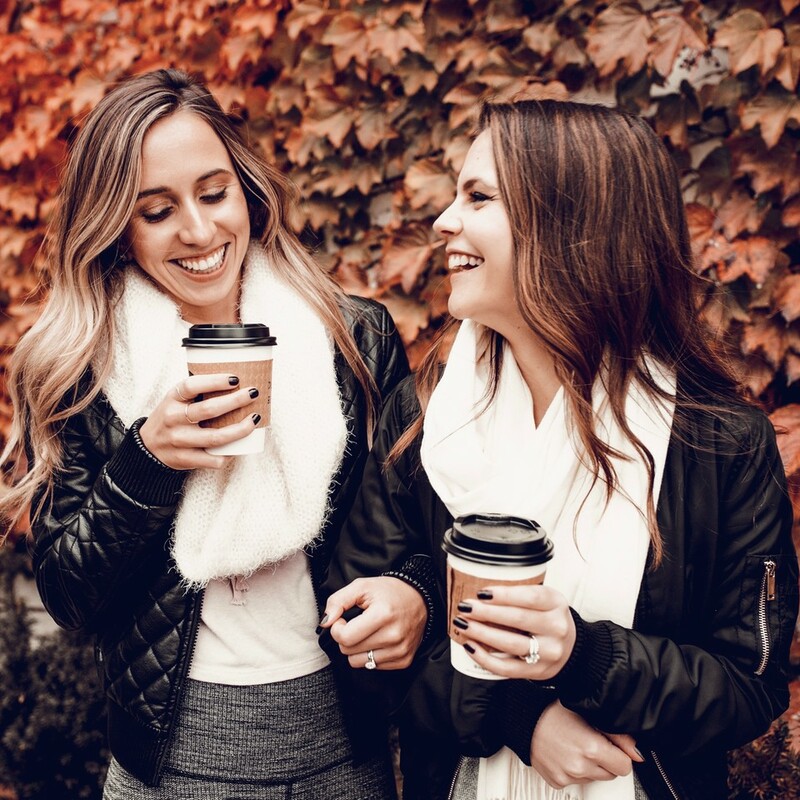 Being the perfectionists that we are, we are constantly on a never-ending quest to find the best #COApproved products to share with all of you. And the natural deodorant category is no different! TBH, it’s actually a bit more challenging. Everyone’s bodies react so differently to deodorant! Some deodorants fail in the stink department, while others are so powerful that they irritate your skin. It’s truly a trial and error type of experimentation! And speaking of trial and error, lots has changed since Sam and I wrote our Native and Schmidt’sreviews. So much so, that we’ve actually both switched to different brands! Check out the rundown for Primal Pit Paste below! If you missed our last Schmidt’s rundown, no worries. 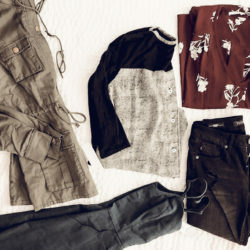 You can find it here! Let me start by giving you guys a quick breakdown of my Native experimentation…I really did love it at first! Native came down with me to steamy South Florida for its first experimentation…and it worked! No stinkyness and pretty controlled sweat levels at 85 degrees? My pits were in love. I was a happy camper for the next couple of months because my normally irritated armpits were calm and smooth. My body was like NOPE. Irritation galore. Stinkyness at an all-time high. And worst of all, it stained both mine and Alex’s shirts! Being that Sam had already put Schmidt’s to the #COTest, I figured I would make the switch. 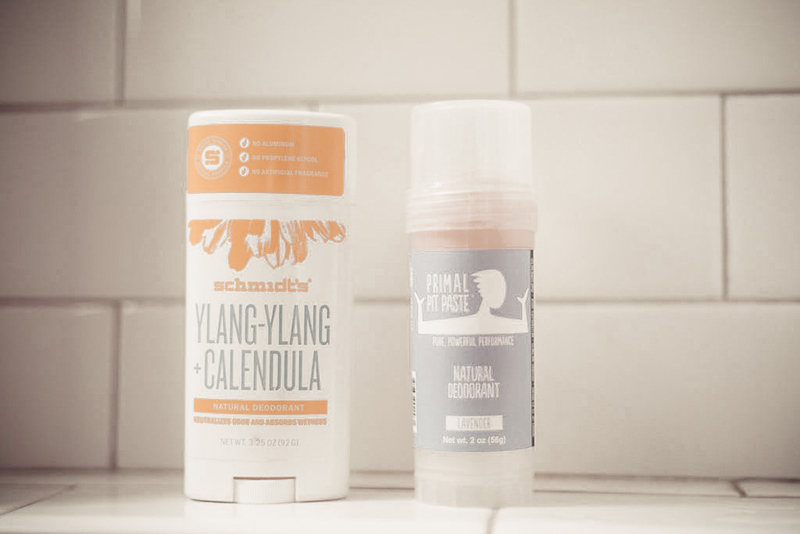 I ran over to Whole Foods and grabbed the Ylang-Ylang + Calendula stick hoping these soothing ingredients would be less irritating on my skin. After a couple of weeks, I was partially sold. I smelled great, wasn’t overly sweaty and saw no signs of stains in my clothes. But I wasn’t ready to give Schmidt’s my full stamp of approval. After all, our bodies adapt to deodorants over time, and I wasn’t sure if mine would say YAY or NAY. Not to mention, my poor little pits still experienced irritation from time to time. I knew this was normal due to the amounts of baking soda used in natural deodorants, but there had to be a better way. I decided to switch back to my old Dove deodorant for a week to see if it made a difference, but it only made things worse. The irritation was UNREAL! So much so that it hurt to workout because of the sweat. So back to Schmidt’s I went! I found myself standing in the body care aisle of Whole Foods (I find myself here too often). 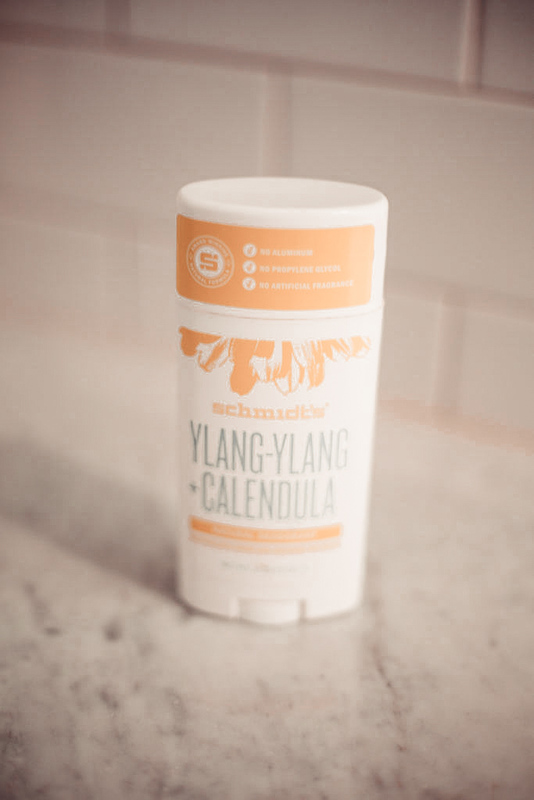 I knew I was about to run out of my Ylang Ylang + Calendula Schmidt’s stick and it was time to make a choice… 1. Stick to what I know and play it safe or 2. 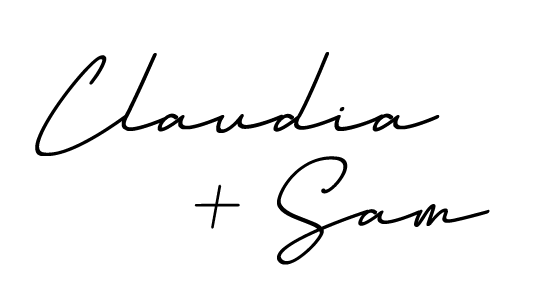 Try a new brand for the blog. Answer: always do it for the blog. So I looked around for a natural deodorant in a comparable price range with similar ingredients, but not the same. 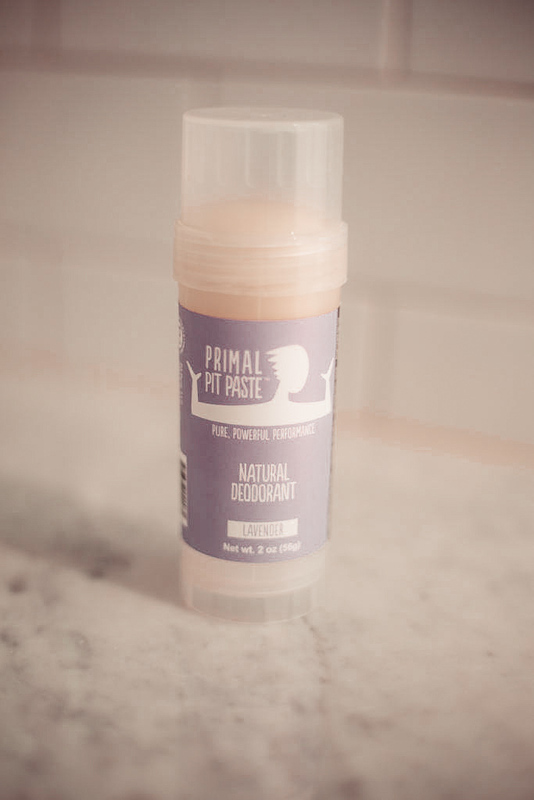 Primal Pit Paste caught my eye for a number of reasons… I had used the jar version of it before and it had been just as effective, if not more, as Schmidt’s… It’s lavender scented (the best scent ever)… There was a new stick version sitting next to the jar I had used in the past. WIN. After using both the jar and the stick versions of Primal Pit Paste I’ve discovered pretty big pros and cons to both. Let me break it down for you. Cons first, pros last…always end on a good note! Con: it’s messy AF when you have to use your fingers to apply! Already have your shirt on? Don’t even think about trying to put some on your fingers and pull your shirt up to apply. It’s a disaster waiting to happen people. Con: it takes significantly longer to apply than a stick version! Pro: the consistency of the deodorant is light and fluffy! For reference, when I used the Schmidt’s jar version in the past, it was hard and dense. I literally had to use a mini spatula to scrape up the deodorant. Then I had to physically warm it up between my hands to get it to the proper consistency to apply (too much work!). Pro: the light consistency mixed with using your fingers makes for a flawless deodorant application. 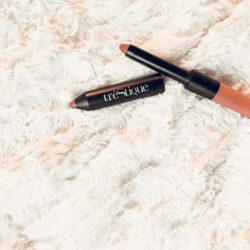 You’ll never miss a spot and since your fingers are warming it up as you apply, the friction activates the ingredients more and in the end, everything is more effective! Pro: seamless application gives way for smooth and fresh pits! Con: the texture is far from light and fluffy…it’s dense and oh-so sticky. Right after applying it I can feel it immediately sticking to my shirt. Thanks, but no thanks! Even if I let it dry up for five minutes, I can still feel the stickiness later in the day. Con: (this is also a #protip!) you have to hold the stick to your armpit to warm it up beforerubbing it on. Even after warming, the texture is still much more dense in the stick than the jar. Pro: it takes less time to apply than the jar! Pro: it’s better for on-the-go application. Between Schmidt’s and Primal Pit Paste, there’s one that’s been more effective for me. The jar version of Primal Pit Paste seems to be the most reliable in regards to sweat and odor control. I’ve learned that the natural deodorant life usually means I’ll have to apply two times daily: once in the morning and once in the afternoon before a sweat sesh. So in my perfect world I would use the Primal Pit Paste jar at home in the morning and the Schmidt’s stick in the afternoon while keeping it in my gym bag! 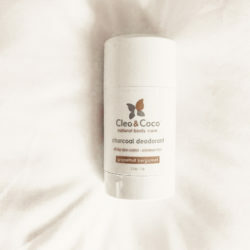 Natural deodorant is like a love-hate relationship. You want to count on it, you want to love it, you want it work…some days it does, and other days it just doesn’t! That’s nature of the game here, folks. 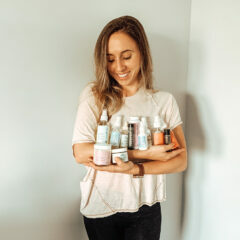 But in our opinion, dealing with temperamental deodorant made with natural ingredients is wayyyy better than slathering on nasty aluminum and chemicals all over your armpits day after day.